The base Sling TV package already provides a pretty decent value. For $20, subscribers get access to more than 20 channels over the Internet. More are available through add-on packages. Now the company is diversifying its portfolio, so to speak. The number of channels available in the US is jumping to nearly 200, spread across 18 languages. They're available as part of Sling International. Okay, Sling International is really just a new name for DishWorld, the IPTV service Dish Network (which owns Sling TV) started offering in 2012. This laid the foundation for Sling TV in the first place, and now Dish is just getting its branding in order. That's not particularly interesting. Here's what is. Packages start at $15 a month. The supported language groups include Arabic, Bengali, Cantonese, Filipino, Gujarati, Hindi, Kannada, Malayalam, Mandarin, Marathi, Punjabi, Taiwanese, Tamil, Telugu, Urdu, and Vietnamese. As far as Android devices are concerned, you can stream on phones, tablets, and Amazon Fire TV devices. Roku Players are also supported, along with the Xbox One, iOS devices, Mac, and PCs. ENGLEWOOD, Colo.--(BUSINESS WIRE)--Sling TV announced today that DishWorld, the live streaming multi-language television service, is now “Sling International.” The move officially marries the largest provider of streamed international channels in the U.S. with Sling TV, the recently-launched provider of live, over-the-top (OTT) domestic TV service. Sling International provides global programming from nearly 200 channels in 18 languages to U.S. households, starting at $15 per month. Current DishWorld customers will be prompted at log in to upgrade to the new Sling International app. Once complete, customers will experience the Sling TV user interface, which is intuitive, easy to use and controlled by swipe and scroll functionality on devices with touchscreen capability. 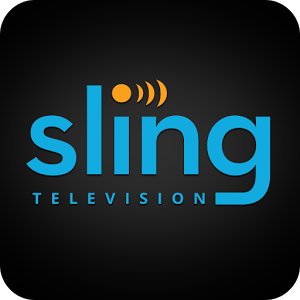 Sling TV customers will also have the ability to watch Sling International and domestic Sling TV content within the same app. Customers can now sign in to their Sling International accounts using all devices that support Sling TV, including Amazon Fire TV and Fire TV Stick, current-generation Roku players and Roku TV models, Android and iOS devices, Xbox One, and Mac and PC. DishWorld customers who use Samsung Smart TVs will continue using the DishWorld app; support of Sling International will become available on select Samsung Smart TVs in the coming weeks. As the largest multicultural OTT service in the U.S., Sling International delivers close to 200 channels from language groups including Arabic, Bangla, Brazilian, Cantonese, Filipino, Gujarati, Hindi, Malayalam, Mandarin, Punjabi, Taiwanese, Tamil, Telugu, Urdu and Vietnamese. New language groups launching today include Bengali, Kannada and Marathi. Sling International customers who subscribe to “Family View” will continue to enjoy viewing their international content on up to three devices simultaneously.